Zippers are one of those things that we use every day and tend to take for granted... until they don’t work. If you have ever used pliers to free up a stuck zipper (like I have!) you know exactly what I’m talking about. The zipper on my tackle bag gets especially crusty, this coating will be the perfect panacea for this as I store it for the winter and subject it to the elements next Spring. It will definitely prolong the life of the tackle bag. The ‘wind screen’ portion of my dodger rolls up with two zippers on either side. These have always given me a bit of a struggle every time I use them. I actually have a bent zipper pull to prove it! After applying just one thin coating of Bees Knees, the zippers worked effortlessly... a huge improvement. 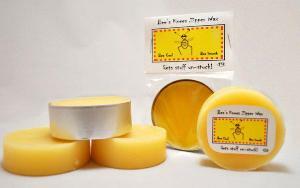 Bees Knees Wax makes your zippers glide smooth as silk. • One Bee’s Knees cake will last you a loooong time. If you see it on the zipper you have used too much. You just glide it up and down the zipper. Using the minimum gets you the maximum! • Use it on lines to get a great grip and keep the lines from getting briney! 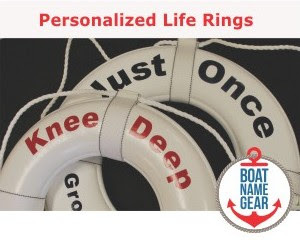 Bees Knees is a product that belongs aboard every boat or in every sail bag. The uses are many, the results are exceptional, and it’ll keep your expensive gear working like new. 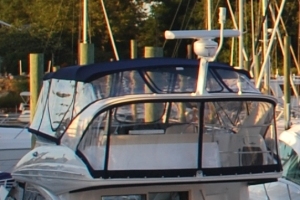 We go to great lengths as boaters to protect our stuff from the harsh marine environment. 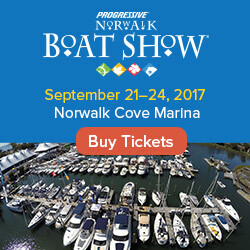 Finally there’s an inexpensive, easy and natural product for the many zippers (and other stuff) aboard our boats.